was graced with a miracle : the withdrawal of Soviet troops from Austrian soil. The cancer consuming what was once called Christian civilization is progressing at a deadly rate. Symptoms of its metastasis are everywhere. The faithful have forgotten God’s commandments. The crisis within the Church portends an apostasy that could dwarf the heresies of the sixteenth-century Protestant revolution, as a scandalous and growing number of bishops openly defy the Magisterium. 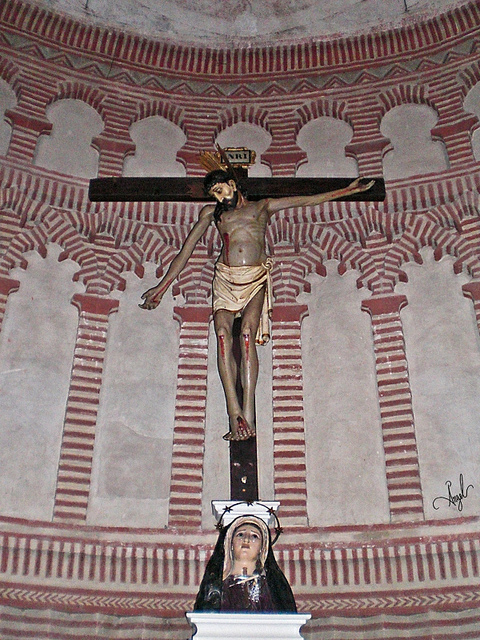 The persecution of the Church in Moorish lands has shed the blood of thousands of martyrs. 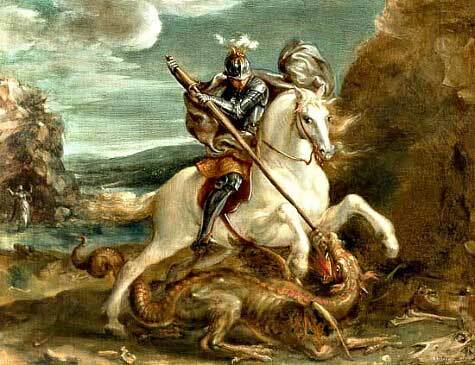 Across Europe, Islamic fanatics are gaining ground, threatening to reoccupy Spain and to conquer such former bastions of Christendom as France, Germany, and Italy, which appear more likely to fall with a whimper than with a bang. This is the sad state of the world in which we live, but what might it have been if we had listened to Our Lady and honored Her requests at Fatima? The brief history that follows may provide some idea. As early as 1943, the Allies began to contemplate the sanctions they would impose on the Axis powers once they had defeated them. 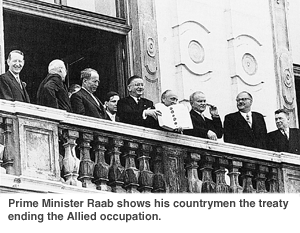 They considered dismantling Austria and awarding its territories to countries victimized by the Nazis, but, in the end, they decided to preserve the Austrian state, while placing it under Allied occupation. 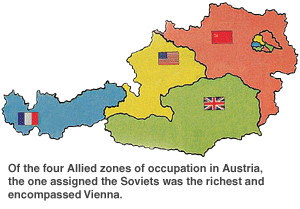 The Soviets favored territorial claims levied against Austria by Tito, the dictator of Yugoslavia, awarding that communist state lands inhabited by Croatian minorities. The Russians also backed a communist putsch in Vienna, which tried to seize power over the whole of Austria. To honor Our Lady’s request, a renewal of her entreaty at Fatima, Father Pavlicek founded the Crusade of Reparation of the Holy Rosary in 1947. Through the Crusade, Austrians joined in a round-the-clock Rosary, imploring the Blessed Virgin for the conversion of sinners, peace in the world, and freedom for Austria. Father Pavlicek shared our Blessed Mother’s fervor for souls. He urged sinners to be reconciled to God through the sacrament of Penance. While preaching in 11 villages in the region of Amstetten, Father heard nearly 6,000 confessions. On another occasion, he remained at his post in the confessional day and night for three days straight. Through God’s grace, Father’s apostolic zeal bore fruit in a rich harvest of souls, including the most hardened sinners. 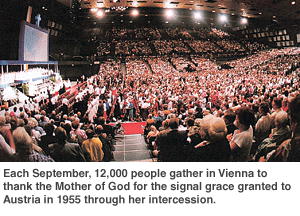 In September 1948, Father Pavlicek introduced the Crusade’s Acts of Reparatory Devotion in a Capuchin church in Vienna. Crowned by the Holy Sacrifice of the Mass, the Acts included sermons, confessions, blessings of the sick and infirm, and the recitations of the Holy Rosary. Father called these devotions “assaults of prayer,” and a siege could last as long as five days. “Peace is a gift of God, not the work of politicians,” he would remind his countrymen. And the gifts of God are obtained through prayers that storm heaven as soldiers storm a fort—with confidence and determination. The Crusade’s processions with the statue of Our Lady of Fatima on the thirteenth day of each month grew so large that Father Pavlicek resolved to launch an annual procession inviting all the parishes of Vienna to join in honoring the Queen of Heaven and Earth. He chose September 12, the feast of the Name of Mary, as the day of this grand procession. Though Father Pavlicek invited Vienna’s Cardinal Theodor Innitzer to take part in these Marian processions, the Cardinal declined to do so. 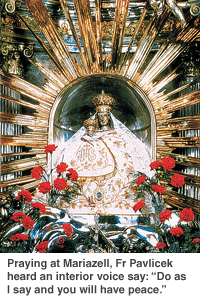 In fact, the Austrian primate had opposed bringing the Our Lady of Fatima’s statue to the Capuchin church, protesting that there was already an image there. “There is only one of Our Lady,” he pointedly reminded Father Pavlicek—who afterward counted 35 different representations of the Most Holy Virgin within the cathedral’s walls.